David Goldblatt was born in London in 1965, and now lives in Bristol, the Bermuda Triangle of football success. In 2015 he won the William Hill Sports Book of the Year Award for The Game of Our Lives:The Meaning and Making of English Football and the Sports Story of the Year at the Foreign Press Association Media Awards for his article for The Guardian Long Read, The prison where murderers play for Manchester United. His most recent book is The Games: A Global History of the Olympics, published in 2016 by Macmillan in the UK and WW Norton in the US. 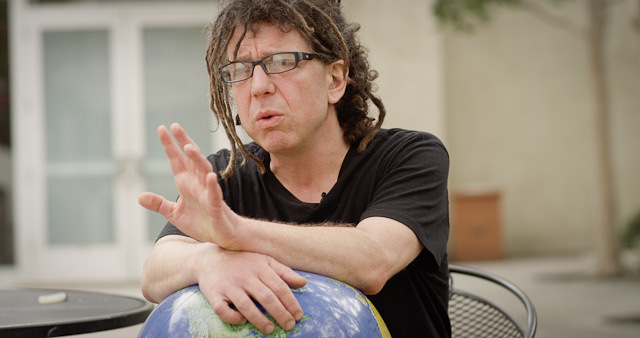 His most recent teaching gig was as Visiting Professor at Pitzer College, Los Angeles. I’m an LA based TV Producer who (like more and more Americans) has discovered football in the last decade and fallen completely in love. I’ve been a fan of yours after reading The Ball is Round last year. What a book. Congratulations on that. For the past year or so a partner and I have been developing a show idea based around the global culture of football, but approaching from the bottom up rather than the top down. Think Salford FC rather than Man U. Your new podcast also solidified my thinking that we should reach out to you. I am wondering if you are exploring any TV projects? We have been speaking to several folks through our connections in Hollywood and NY and quite honestly we’re realizing we need to get this thing to Europe, where people understand what we’re talking about. I’m tired of talking about David Beckham as the only viable partner. Thanks in advance. I’d be happy to share the treatment if interested.